Save $74 on the Superman Motion Picture Anthology on Blu-ray! It's only $54 today only! The ultimate Superman Box Set on Blu-ray is a whole lot cheaper at Amazon at $54 but that deal will only be available today only! If you order this set today from Amazon, you will save $74 which is 57% off of the regular price. 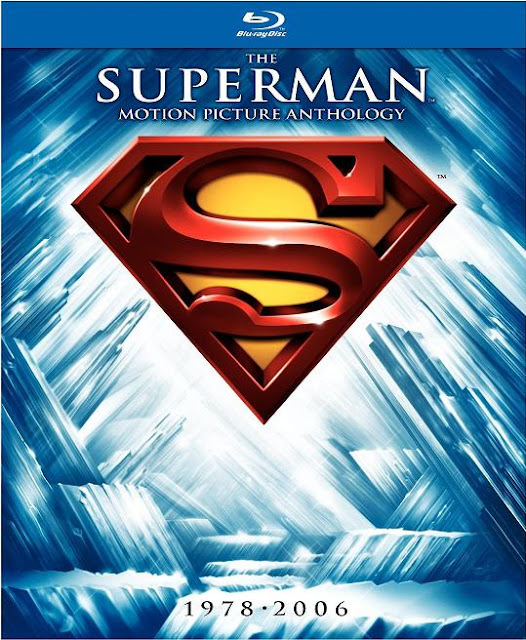 This deluxe eight disc set comes with every Superman movie ever made, including the Richard Donner cut of Superman II and a ton of extras that include Looney Tunes, The Fleischer Superman cartoons, Bryan Singer's documentary, and a whole lot more! DELUXE 8-DISC SET WITH OVER 20 HOURS OF BONUS FEATURES! Order your copy today while this deal lasts!